Tiffany Hughes, DVM, received her Doctor of Veterinary Medicine degree from Colorado State University in 2015. She went on to complete an emergency internship at Aspen Meadow in 2015. 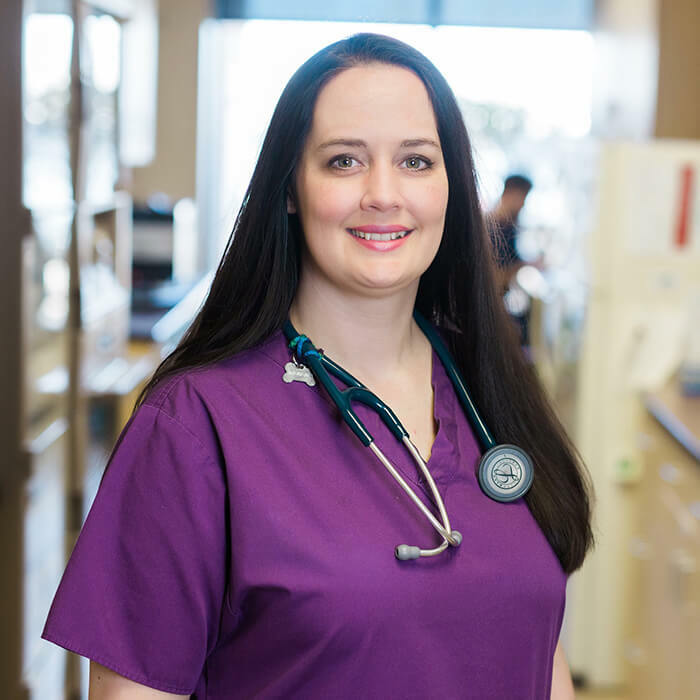 Prior to graduation, Dr. Hughes was a certified veterinary technician and has been in veterinary medicine since 2003 and emergency medicine since 2006. Dr. Hughes joined the Aspen Meadow team after completing her internship in 2016.